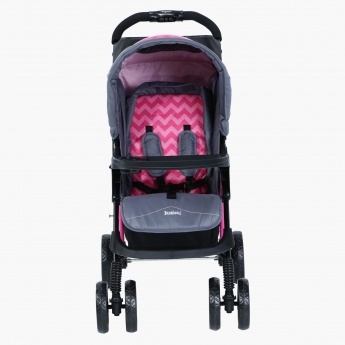 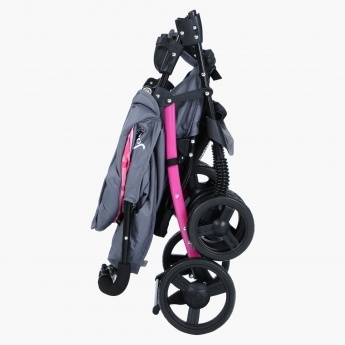 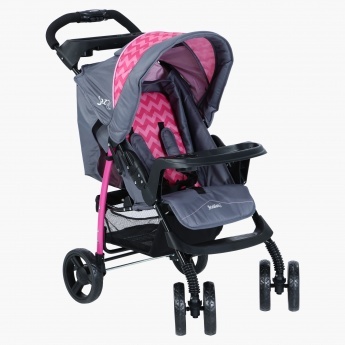 Juniors Jazz Baby Stroller | Pink | Lockable front swivel wheels. 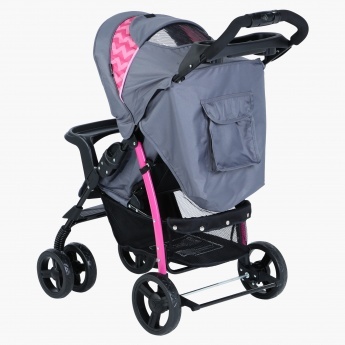 Packed with all the latest features, taking your baby on trips is no hassle with this lovely stroller. 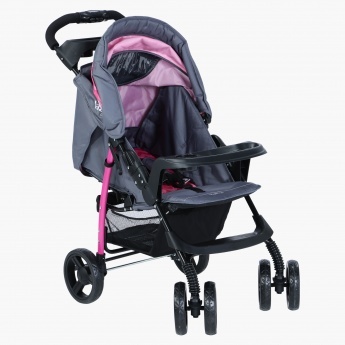 Safe to use with its lockable front swivel wheels and safety harness, it also has a canopy and a storage basket.